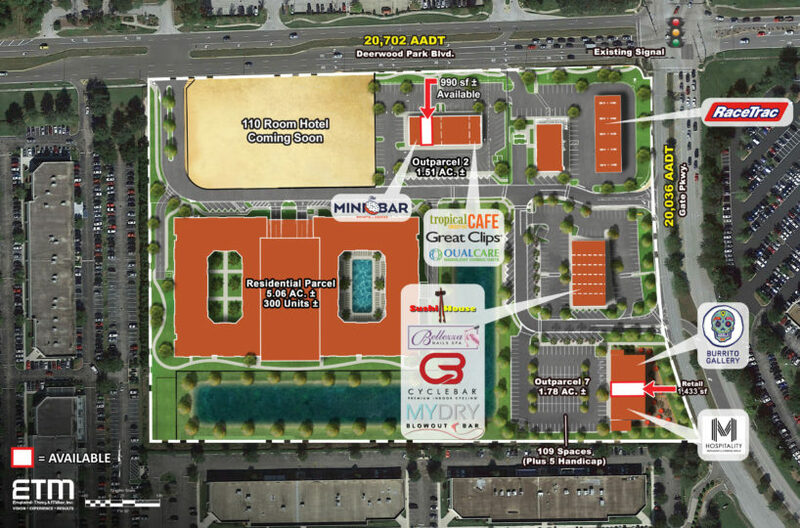 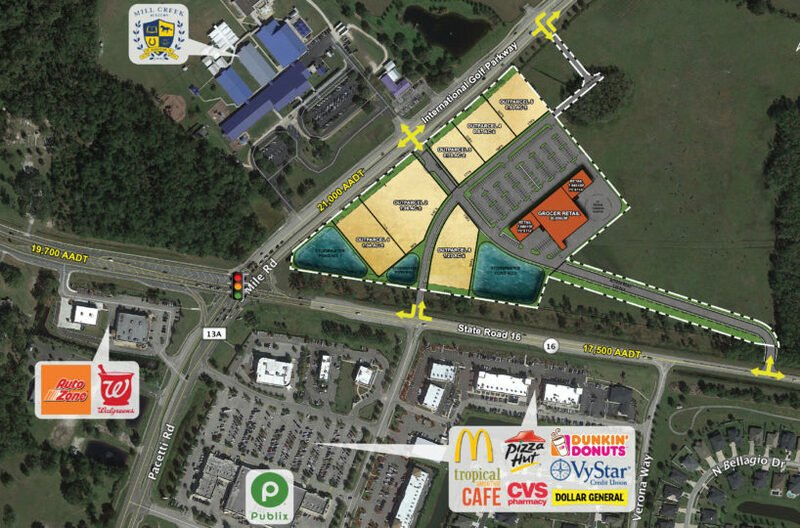 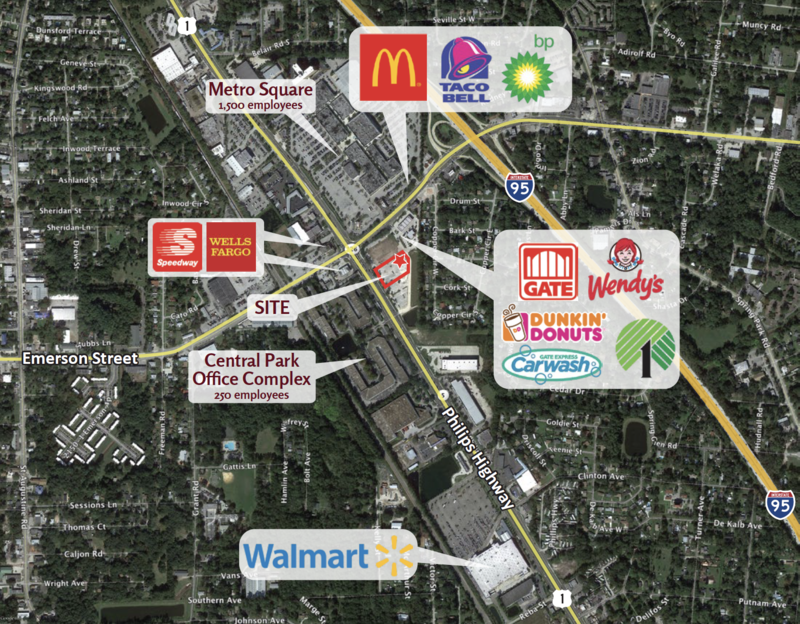 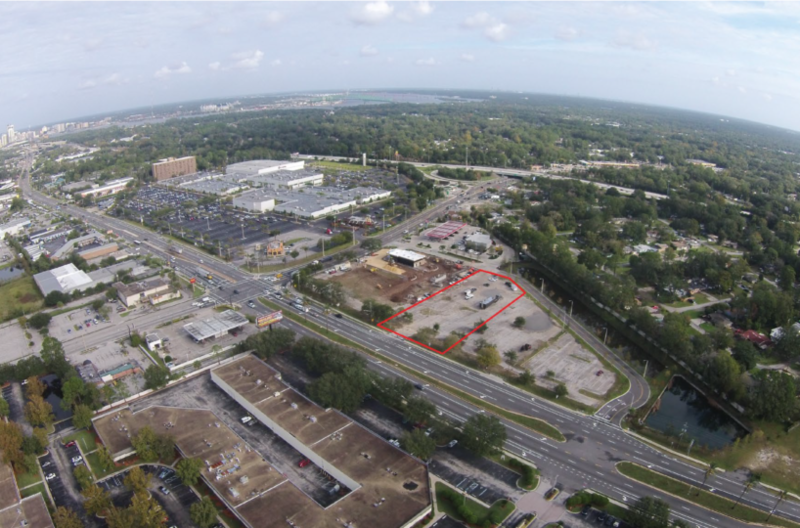 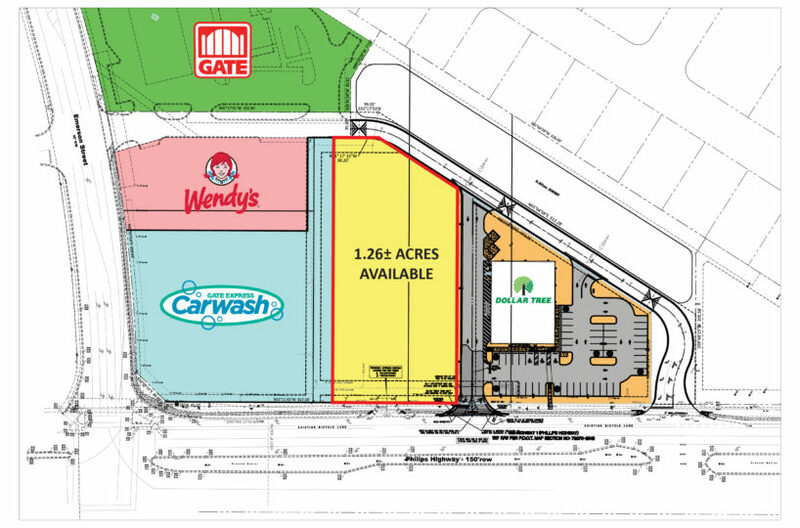 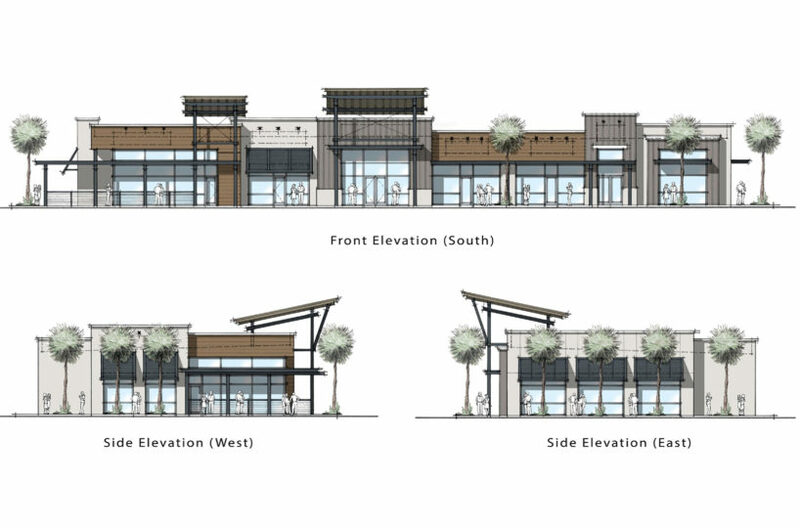 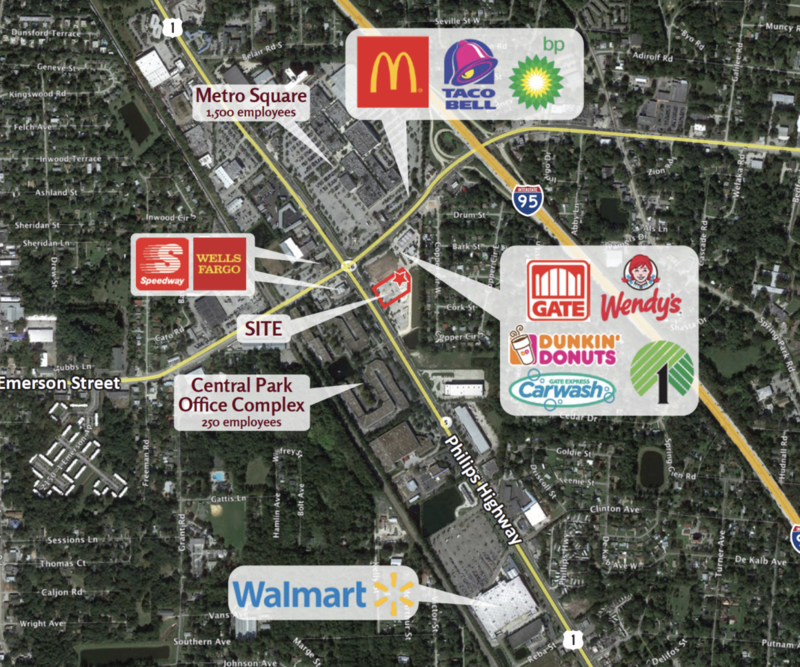 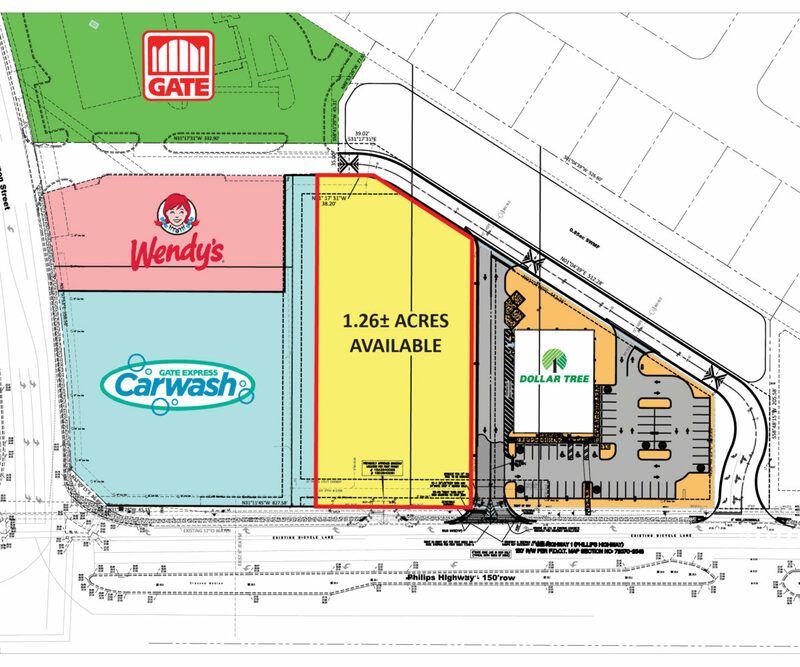 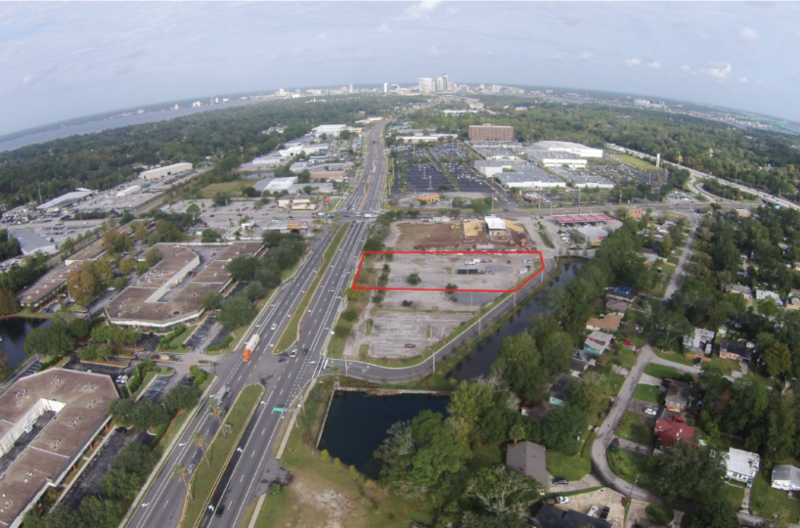 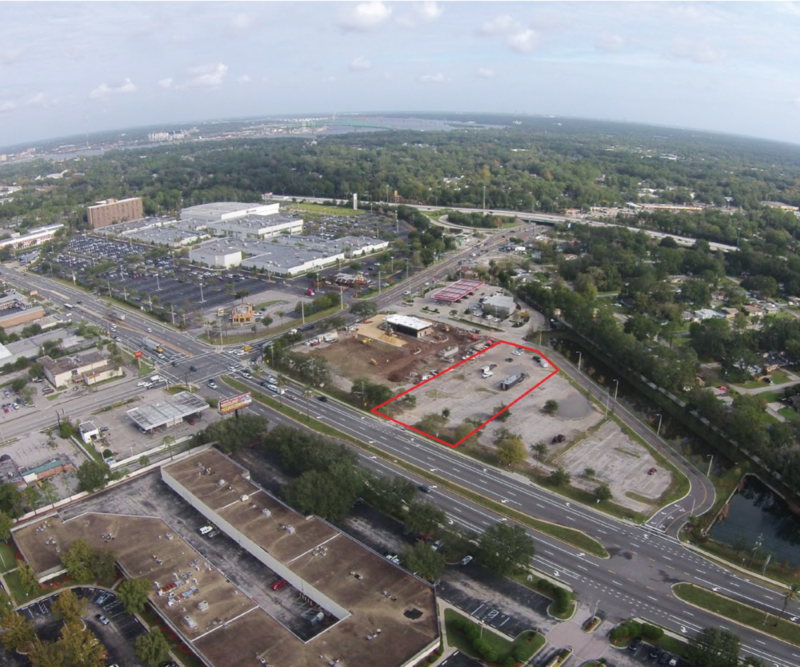 This site is part of an overall development located at the southeast corner of Phillips Highway and Emerson Street west of Interstate 95. Join Wendy’s, Gate Gas Station, Dollar Tree, and Gate Express Car Wash. 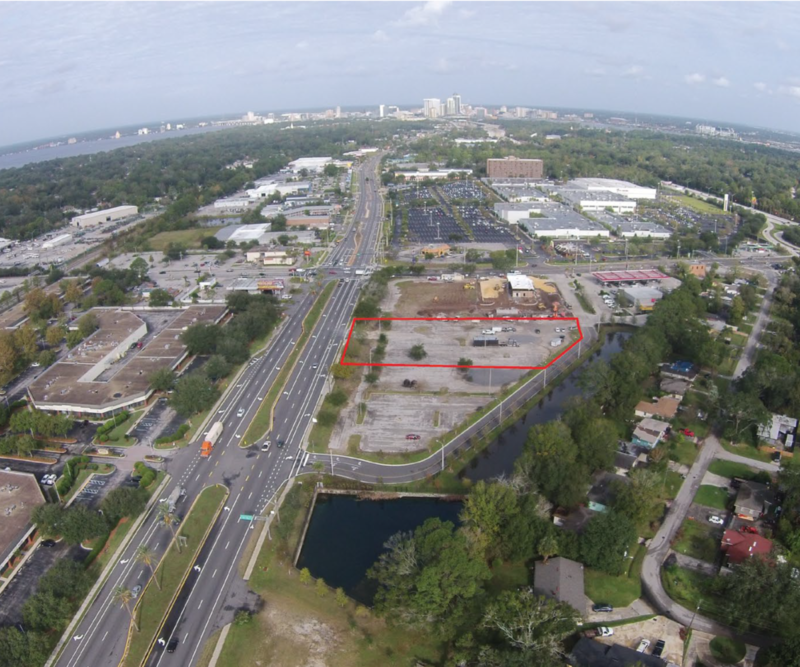 The site has internal access to a signalized intersection on Emerson Street, internal access to a full median break on Phillips Highway, and a right in/out directly to the site on Phillips Highway. 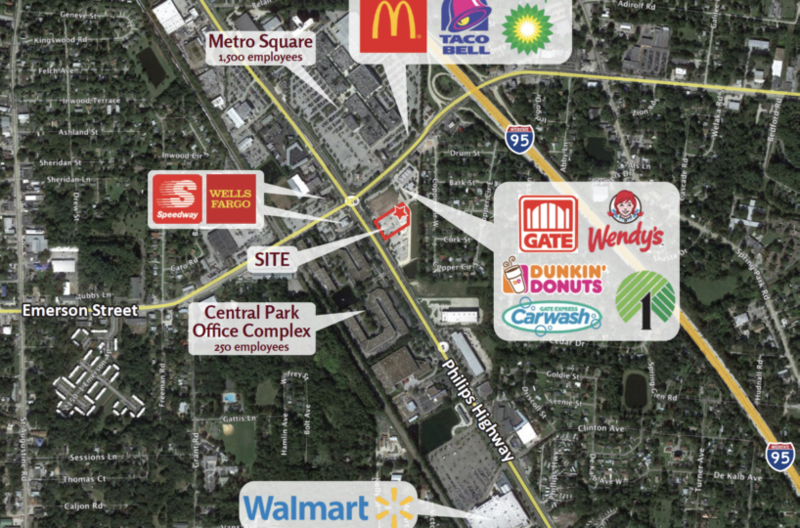 Other area retailers include Dunkin Donuts, McDonald’s, Taco Bell, Wells Fargo and Super Wal-Mart. 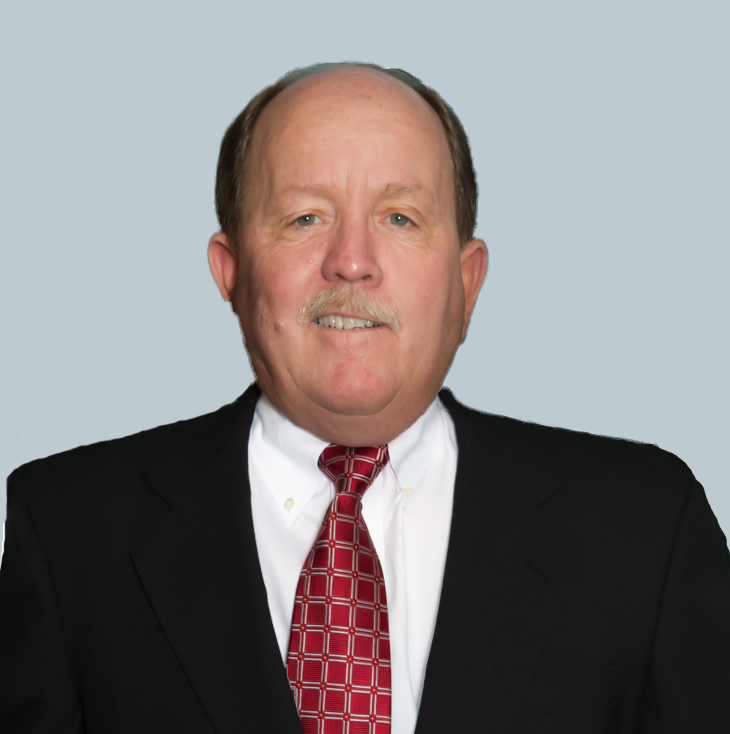 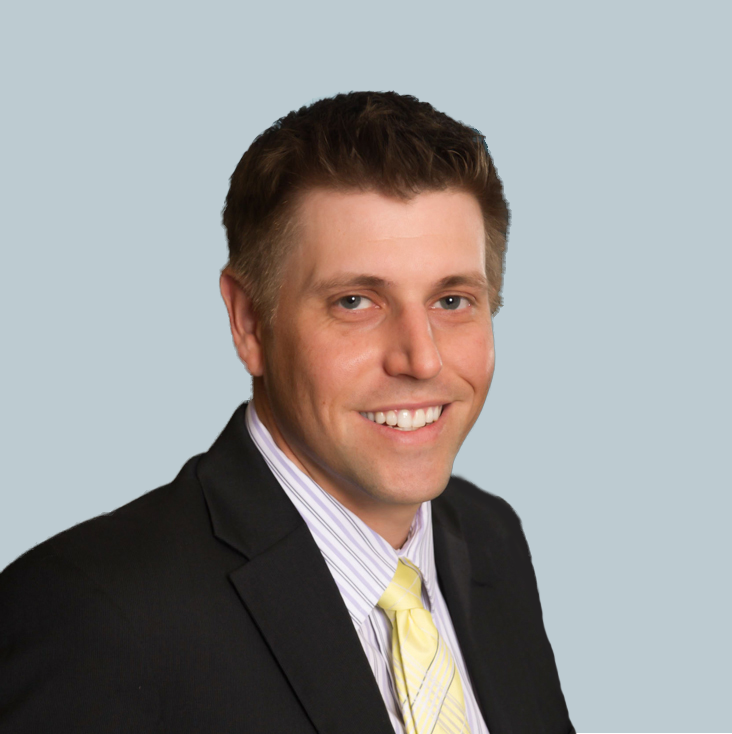 There are over 420,000 square feet of office space in the immediate area with over 1,750 employees.